If the group wishes to cancel the reservation made, they are required to inform the hotel at least two weeks before the first night of the reserved stay or the hotel will charge 50% of the complete price. In case the group wants to reduce the number of rooms reserved, it is also mandatory to inform the hotel at least two weeks before the first night of the stay or 50% for each unoccupied reserved room will be charged. If the group does not require all reserved rooms on check-in but did not inform the hotel before, the complete price for all reserved rooms is due. 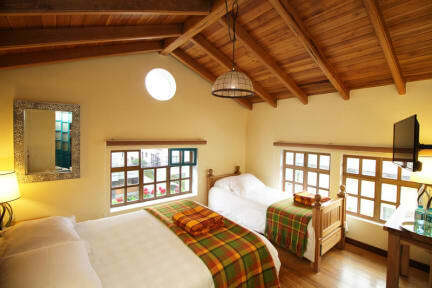 The charming Hotel Vieja Cuba with its warm and cosy atmosphere is a place of quietness right in the heart of Quito's vibrant tourist area, the La Mariscal district. 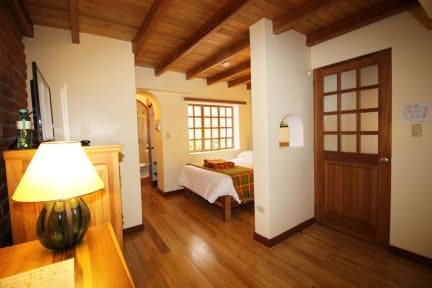 Located close to lively cafes and restaurants, shopping centers and boutiques, it's situated only 10 kms/6.2 miles from the International Airport Mariscal Sucre (20 minutes by taxi). The carefully renovated colonial building features 26 modern and comfortable guest rooms, as well as beautiful gardens on its outsides. Furthermore, the hotel offers exquisite Mediterranean cuisine at the bar and restaurant Orisha.